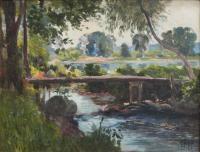 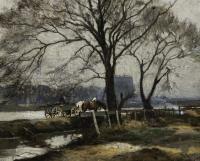 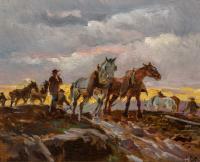 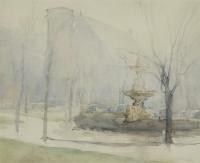 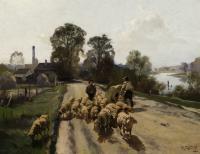 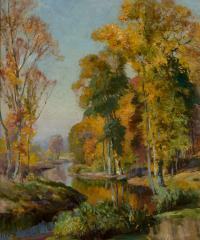 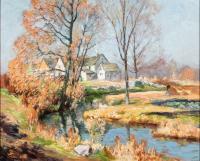 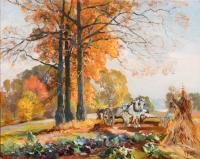 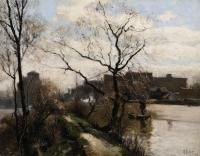 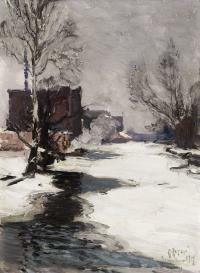 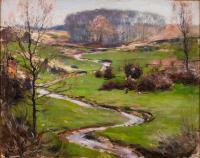 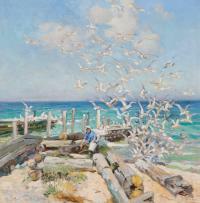 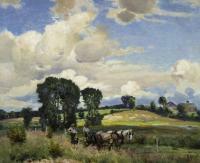 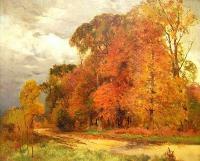 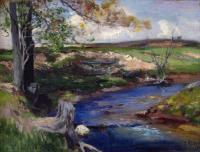 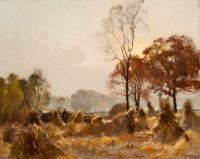 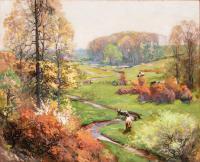 Since travelling abroad was more difficult in the wake of World War I, Alten instead expanded his base in Michigan, travelling heavily throughout the state and painting numerous Michigan landscapes. 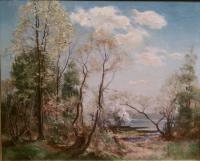 View from inside woods looking out. 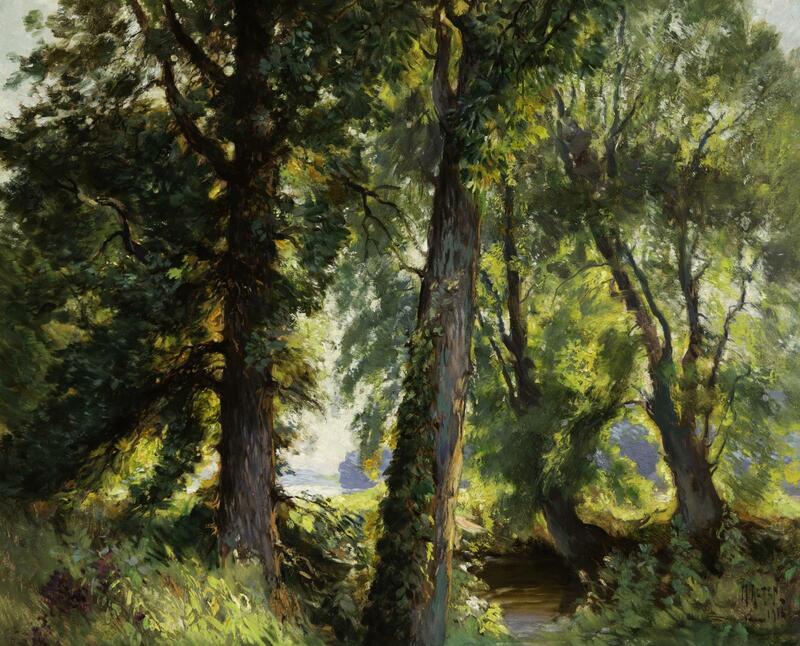 There is a clearing in the trees where sun is shining into the forest.